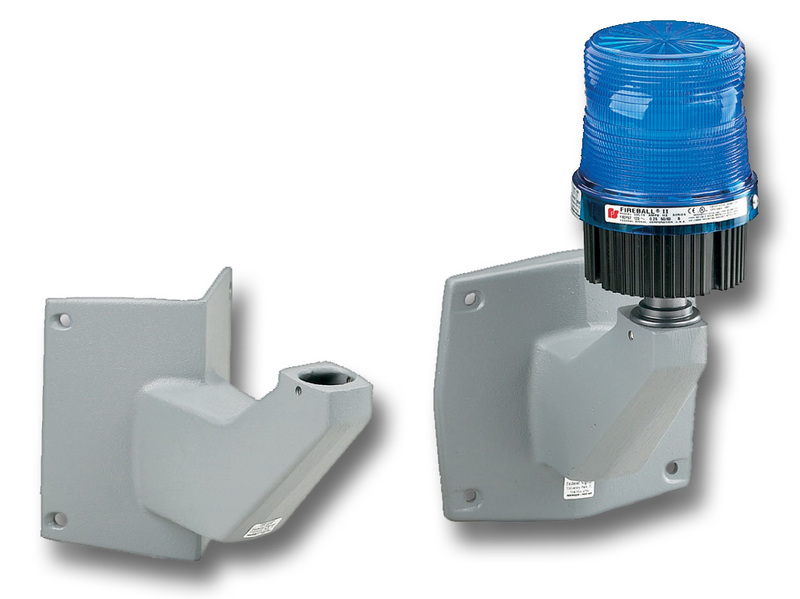 Federal Signal’s Models LWMB2 and LCMB2 mounting brackets are specifically designed for use with Federal Signal’s warning lights to provide an easy and consistent means of mounting lights throughout a facility. Models LWMB2 and LCMB2 are constructed of durable cast aluminum and sealed with gray powder coat paint. Easy to install, these units can be wired through the back of the bracket for electrical box mounting or through the threaded hole in the base for external 1/2-inch conduit connection. Each kit includes a bracket, plate and mounting screws. Easy installation and a heavy-duty construction make the brackets suitable for use in commercial, institution and industrial environments. These brackets are suitable for any Type 3R application in safe area applications. The LCMB2 and LWMB2 mounting kits may be used with the following Federal Signal models: 121S, 131ST, 131DST, 141ST, 225, 371, 371ST, 371DST, 371LED, AV1ST, AV1LED, FB2PST and the FB24ST.